QSQ may be a silly pun about exchange of goods and services, but we participate in this exchange with our staff, regulars, and communities every day. We strive to create a premium product for which we charge a premium rate. We believe that if we are going to ask our Baristas for their best work, we also owe them the best training. From the author of “Grounded,” we bring you Quid Spro Quo. A subscription based, on-demand training program for Baristas. Subscribe to the newsletter for a free espresso lesson! We’re sending you “Intro to Espresso” for free! We take Baristas through a full spectrum of making espresso. 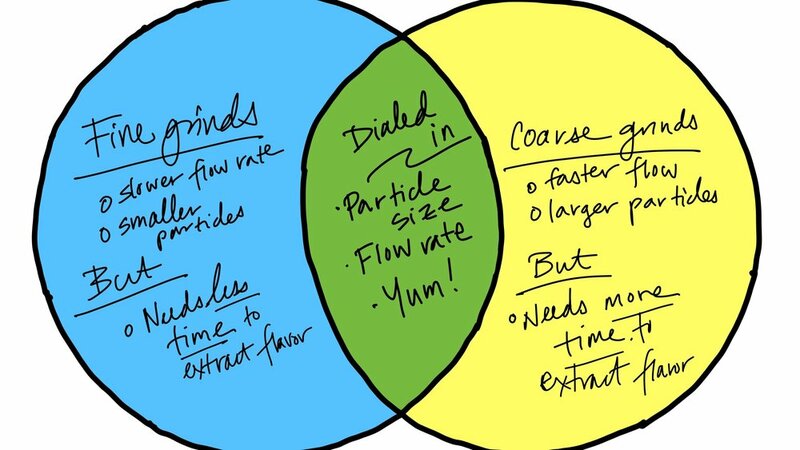 Everything from grinder to machine to flavor modelling, to advanced theory. We offer video and written tutorials for Baristas to learn how to use their specific steam wand. It doesn’t matter which machine you have - we teach Hearts, Tulips, Rosettas, and Swans on all of them. We use Grounded as the springboard for our conversation about extraction theory and brewing coffee. Our recipe calculators are designed to allow you to set your flavor goals and we’ll do the math for you. Dialing in a batch brewer without a refractometer. How to teach extraction models to your staff. Which espresso machine extraction model works for my cafe or staff? I don't believe in God shots.